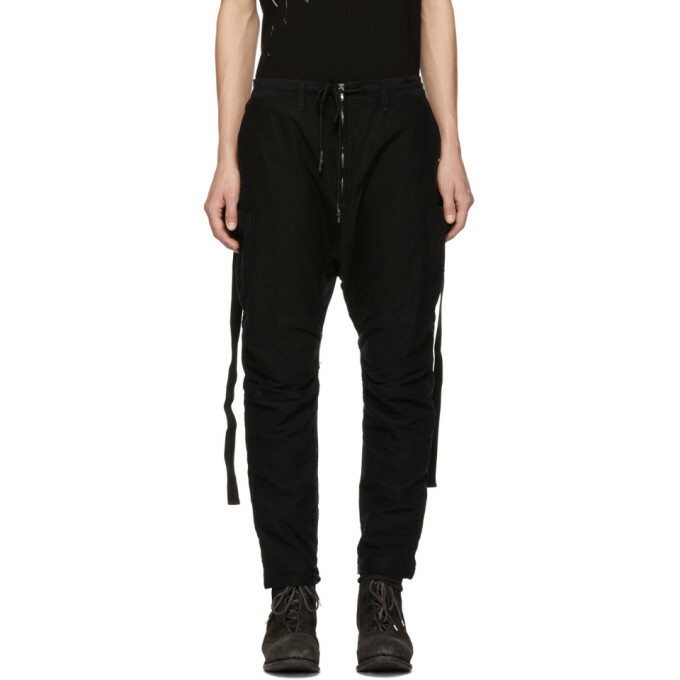 Relaxed-fit panelled cotton canvas trousers in black. Dropped inseam. Drawstring at elasticized waistband. Six-pocket styling. Grosgrain straps with cinch fastening at legs. Elasticized inset cuffs with bungee-style drawstring. Zip-fly. Tonal hardware. Tonal stitching.